27 Magne is one of the coaches on "The Voice" (TV2 - episode 1). 28 Morten visits Salgueiro samba school in Rio de Janeiro in Brazil. 29 Morten is at FNAC bookstore in Rio de Janeiro (7pm) to celebrate the completion of his new solo album. He takes part in a question and answer session, followed by a meet and greet. The people attending also get to hear six song preview clips from the new album. 3 Magne is one of the coaches on "The Voice" (TV2 - episode 2). 10 Magne is one of the coaches on "The Voice" (TV2 - episode 3). 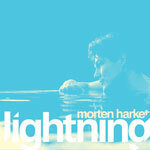 13 The first single "Lightning" from Morten's forthcoming album premieres on Norwegian radio P4. 17 Magne is one of the coaches on "The Voice" (TV2 - episode 4). 24 Magne is one of the coaches on "The Voice" (TV2 - episode 5). 2 Magne is one of the coaches on "The Voice" (TV2 - episode 6). 9 "Lightning" is released in Norway. Morten is guest on P4's Radiofrokost in Norway. Magne is one of the coaches on "The Voice" (TV2 - episode 7). 10 There is a story on Morten Harket on TV2's "Lørdagsmagasinet". 16 Magne is one of the coaches on "The Voice" (TV2 - episode 8). 20 Magne is one of the dinner guests with King Harald and Queen Sonja at the Royal Palace in Oslo in honour of Prince Charles and Camilla's visit. 23 Magne is one of the coaches on "The Voice" (TV2 - episode 9). Morten is one of the artists performing in front of 2000 people at Telenor Arena in Oslo. 24 The video for "Scared Of Heights" premieres via Universal.de. 27 Morten is in Baden-Württemberg, Germany and is interviewed on "SWR1" by Stefanie Anhalt and Günoter Schneidewind on two separate radio shows. 28 In the morning, Morten is interviewed on German radio "FFH" in Bad Vibel. Later in the day he is interviewed on radio "RPR1" in Ludwigshafen. 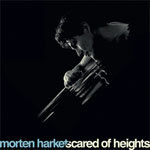 30 The second single, "Scared of Heights", from Morten's new album is released in Germany. Morten is guest on "NDR2" radio in Hamburg and meets some contest winners. He is also interviewed by the TV news show "Brisant". Afterwards he visits the Planten un Blomen botanical garden in Hamburg with newspaper "BILD". Magne is one of the coaches on "The Voice" (TV2 - episode 10). 6 Magne is one of the coaches on "The Voice" (TV2 - episode 11). 10 "Scared Of Heights" is released on amazon.co.uk. 11 Morten attends the opening of a new showroom of Tesla Motors (electric cars) in Oslo. Morten was due to perform on the German TV show "Gottchalk Live" (ARD), but the appearance is cancelled. 13 Morten's fifth solo album "Out Of My Hands" is released in Norway, Germany and in other European countries. It's released in other parts of Europe 16-18 April. In the morning, Morten is guest on the German TV show "Morgenmagazin" (ARD) in Cologne. He is interviewed and performs "Scared Of Heights" live. Whilst in Cologne, Morten also does an interview for the German TV show "Exclusiv" (RTL). Magne is one of the coaches on "The Voice" (TV2 - episode 12). 14 An hour long TV special " Morten Harket - mannenbak myten" is broadcast on Norwegian TV2. It features conversations with Morten and manager, Harald Wilk, around Rio de Janeiro, Brazil plus some private home movie clips from his childhood. Magne is one of the coaches on "The Voice" (TV2 - episode 13). 27 Magne is one of the coaches on the live show of "The Voice" (TV2 - episode 14). 30 Morten and his band (Karl Oluf Wennerberg, Erik Ljunggren, Dan Sundhordvik) perform a 40-minute set as part of the Sommer Open Air festival, Dorsten, Germany, in front of a crowd of around 20,000 people. The concert is free of charge, presented by german radio station "WDR2". The show is streamed live online. Other acts include Rea Garvey (singer from the band Reamonn), Stefanie Heinzmann, Katzenjammer. Morten has problems with his vocal chords and as the result, the planned interview following the show does not take place. The set includes: Burn money burn; I’m the one; Keep the sun away; Move to Memphis; Forever not yours; Lightning; We’re looking for the whales; Stay on these roads; Scared of heights; Foot of the mountain. 9 The second UK single from Morten's "Out Of My Hands" album is the promo only release of "I'm The One". 2-11 Magne and Håvaried Vikhagen have a joint exhibition at the annual Peer Gynt culture festival in Vinstra, Norway. 1 Norwegian photographer, Stian Andersen, publishes his a-ha photo book. He worked with a-ha since 2000. 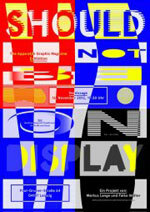 1-16 A photo exhibition of some of Stian Andersen's prints takes place at Stolper + Friends gallery in Oslo. 14 Sentrum Scene, Oslo, Norway followed by an a-ha fan after party in the same venue as part of the 30th anniversary weekend. 15 a-ha fan convention with guest speakers, a book signing session with Stian Andersen and special aces to the photo exhibition at Stolper + Friends. 25-25 Nov A jubilee celebration of Magne's works encompassing 25 years "Bouquet" opens at Galleri Trafo and runs until 25 November. 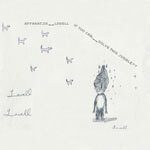 29 Apparatjik and Canadian singer Lowell release an EP "If You Can, Solve This Jumble" on Itunes in UK/Europe. 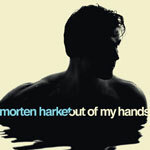 The third UK single from Morten's "Out Of My Hands" album is the promo only release of "Burn Money Burn". 30 "If You Can, Solve This Jumble" is released on Itunes in North America. 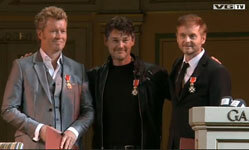 6 Morten, Magne and Paul are awarded the Royal Norwegian Order of St. Olav at a special ceremony at Gamle Logen in Oslo. They receive the Officer's Cross of the Royal Order from HRM King Harald of Norway. 16-28 Markus Lange and Falko Walter's Apparatjik graphic magazine is the focus of the exhibition "Should Not Be On Display" at min, in Leipzig, Germany. 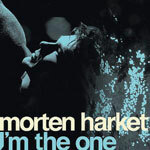 23 Morten's single "I'm The One" is released as a download only on iTunes in Germany. 26 The video for "I'm The One" premieres in Germany. 11 The Oslo Boys' choir "Sølvguttene" sing Christmas in with a musical arrangement connected to footage recorded by security cameras at the Apparatjik/Audiokolor "Everybody is a composer" installation at the "I wish this was a song" exhibition. 21 Magne participates in the third annual "Desembertoner" Christmas concert at Oslo Domkirke (5pm and 8pm). Amongst other artists, Martin Halla and Tini (The Voice) perform with Magne on keyboards.